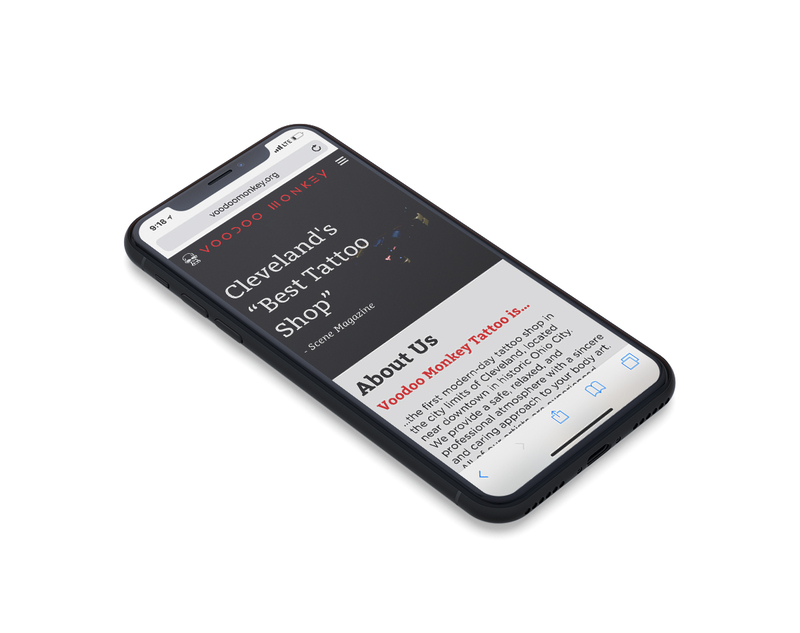 I worked with Voodoo Monkey Tattoo, the first tattoo shop in the city of Cleveland and a consistent Best of Cleveland winner, to create a brand-new website. The site is a complete front to back redesign built on WordPress with a custom theme that I developed after working with the owners and artists designing a site that best meets their needs. 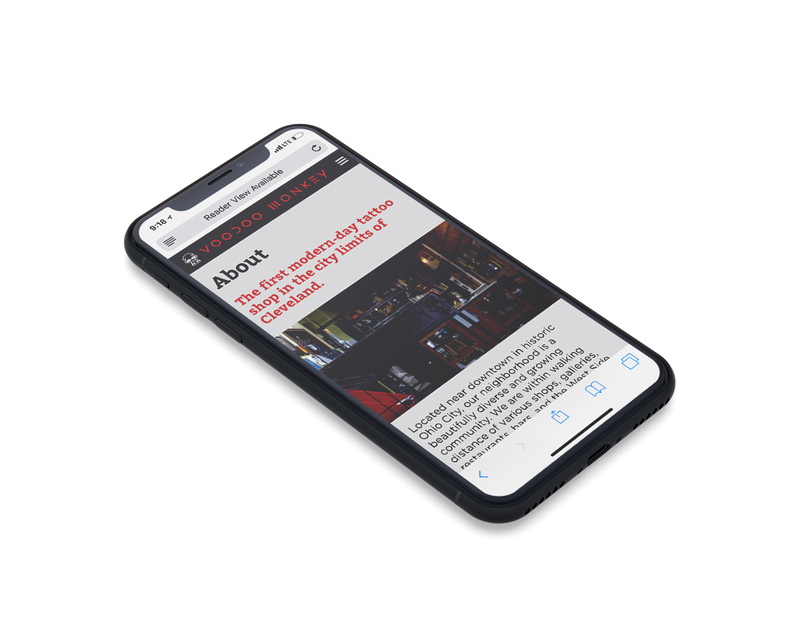 After completing development, cross-platform testing, and training staff on content population, we launched the site in February of 2018. 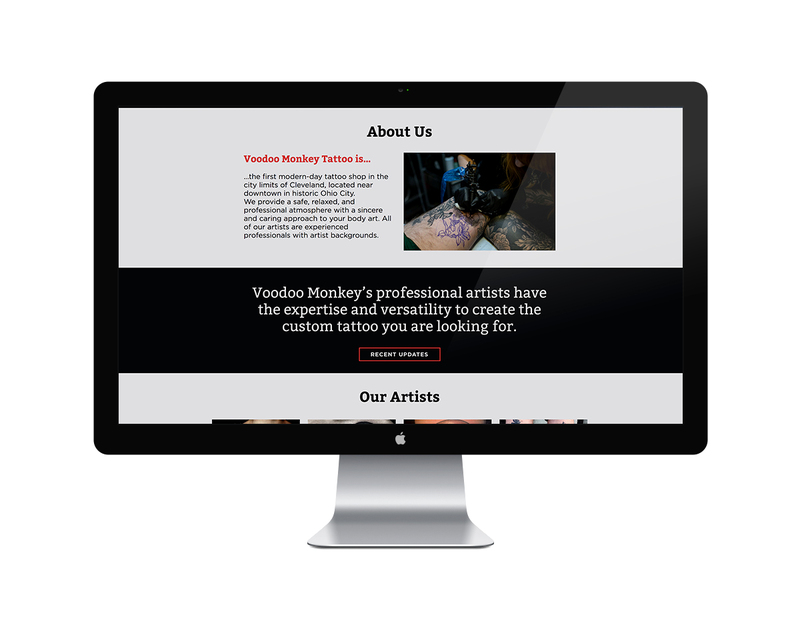 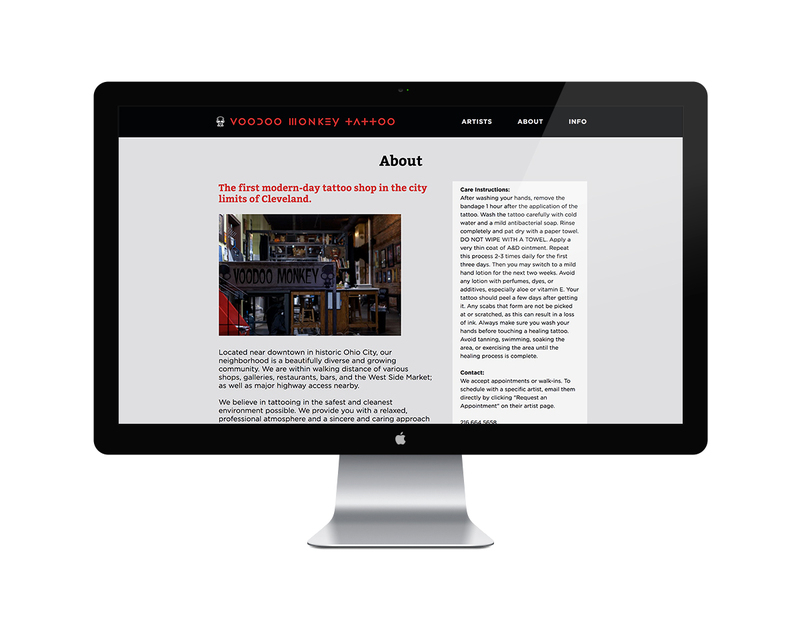 All pages are fully responsive and allow Voodoo Monkey staff to make changes and post updates on their own when needed.